Star Trek fans after catching a glimpse of CBS’s future plans. CBS’s plans for the Star Trek franchise do not start and end with Discovery. In addition to the Captain Picard series that was announced over the weekend, CBS executives have confirmed there are other potential Star Trek shows being considered for CBS All Access. The plan looks to be all Star Trek, all the time. During an extended interview with Deadline, CBS All Access president Marc DeBevoise and executive vice president of original content Julie McNamara joined Stapf to chat about ongoing and future projects for the streaming network. However, most of the questions surrounded CBS All Access’ growing Star Trek franchise. On the heels of the announcement that Sir Patrick Stewart would be reprising his role as Captain Jean-Luc Picard in a new standalone series—as well as the news of Star Trek: Short Treks, the Discovery shorts that will air before the next full season--the executives shared that more Star Trek projects are on the horizon. There are no details about what form those shows could take, but it sounds like a hell of a lot of options are on the table. For example, according to McNamara, nearly every Discovery character has been considered for his or her own show, including a series about Michelle Yeoh’s Emperor Georgiou. However, Stapf did insist that episodes in the Short Treks series, which will feature characters like Tilly, Harry Mudd, and Saru, are not test pilots for potential spinoffs. 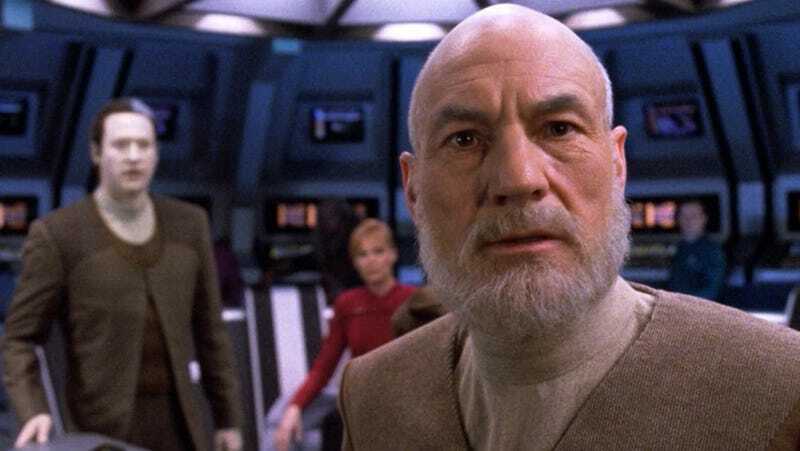 It came to us, as do all things Trek now, through Alex Kurtzman, with the idea of, wouldn’t it be cool to do something Next Gen-oriented, [or] get Patrick Stewart [or] any of those iconic Next Gen characters. As Patrick himself has said, he was of the opinion that “I’ve done that character,” but he got a meeting with Alex and some of the other guys and they won him over. The deal didn’t take that long once he decided to do it. The other updates provided to Deadline were on CBS’s adaptation of Stephen King’s The Stand, saying it’s on course to come out sometime next year, as well as Jordan Peele’s The Twilight Zone, which is in development and should start production in a couple of months.